We want to thank you for considering donating to Charis Bible Studies. 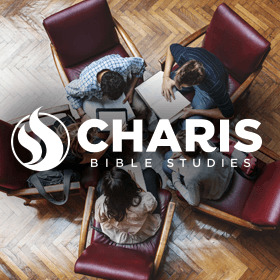 As part of Charis Bible College, Charis Bible Studies is also a non-profit entity. Our goal is to take the true Gospel of Grace and Faith to living rooms around the world. We strive to use the resources sown into this Ministry faithfully and ensure that donations sown will translate into lives changed. You will receive a tax-deductible receipt for your giving. Again, we want to thank you for helping us to take this Gospel to neighborhoods and villages around the world and for partnering with us to touch lives for the kingdom of our Lord Jesus Christ.